The explosion of social media has created lots of new opportunities for your company when it comes to sales prospecting. Utilizing the tools available to you can, in the best-case scenario, expand your business and deliver a source of continuous lead generation … or, in the worst-case scenario, cause an embarrassing publicity nightmare. Here are three best practices to bear in mind, followed by three worst practices to avoid, as you leverage your presence in business-related social media channels. Social media posts are not a replacement for active cold calling, but they can and should support your prospecting campaign. For that to happen, everything you post in business settings (like LinkedIn) should have the three-part goal of connecting with a specific type of person, informing him or her of something relevant and previously unknown, and engaging with that person in a way that helps you find out whether your product/service is a good fit for his or her needs. These three things, in the best case, happen almost simultaneously in social media channels, which is why I am consolidating them here. Use social media for data mining. Social media sites, such as Facebook and LinkedIn, are great tools for lead generation, but what many salespeople overlook is the reality that they can give you valuable insights into customer demographics. We live in an era of over sharing, and sales professionals can use this fact to their advantage. There are filters available for many social media sites that will narrow your audience according to age, gender, and other categories. This gives you the ability to focus more closely on your clients and target customers more specifically. 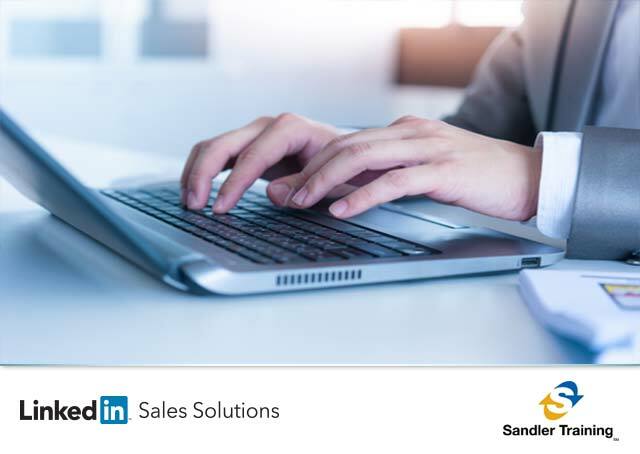 See in particular LinkedIn’s Sales Navigator application, which bring data acquisition and prospect targeting to a whole new level for salespeople. Sales Navigator can sync daily with your CRM. It amazes me how few salespeople use social media platforms to learn about their competition’s weaknesses. This is perhaps the best way to gain critical insights on how to improve your own customer experience. Many, many customers take to Facebook, Twitter, and LinkedIn to provide feedback on their user experience. Translation: Customers complain there, hoping someone will notice. If you are not looking at your competitor’s social media stream on a regular basis, you are missing out on learning about their business weaknesses. Once you have an understanding of those weaknesses, you will be able to highlight your strengths and meet needs that the competitors can’t. (Of course, you’ll want to listen just as closely to your own customers’ feedback.) By the way, this “do” also gives you another way of sales prospecting to an already targeted customer. If someone is not happy because of a bad experience he or she had with your competitor, see #1 above! Connect, inform, and engage! No matter how big your network is, no matter how many friends you have on Facebook, I guarantee you that most of them are not qualified prospects for your product or service. That only makes sense, right? So follow that out. If people are not in need of your services, and most of them aren't, they aren't going to want to hear or read a ten-minute pitch on why your product/service is great. So don’t waste your time doing that. This “don’t” is particularly relevant to discussions on LinkedIn. Remember: This social network is all about adding value to your contacts. Discussions about your kid’s graduation pictures, the latest celebrity scandal, or that funny cat video just don’t belong. Nor does a long monologue about your career, or the details of your company’s latest brochure. All of these are variations on self-promotion. Every social selling exchange should be about giving contacts in the audience what they want, and engaging in a dialogue ... not constantly self-promoting to make sales or get attention. People need to know the next steps in your purchase process. Without giving them a call to action, they won’t know what to do with the information, insights, or intelligence you have provided. Make sure you offer a clear step-by-step process in place for people whose interest you've aroused, along the lines of “To get our free white paper on how to handle such-and-such challenge, click here.” If potential clients are in any way confused about what to do after seeing your message, they will decide to look elsewhere for answers ... probably your competition’s web site. Dave Mattson is the CEO and President of Sandler Training. A self-proclaimed “introvert,” Mattson is testament to the Sandler® methodology that stands firm on its belief that through techniques and reinforcement anyone can become successful in sales. In his 25 years with the company, Mattson rose to become CEO and President, oversaw the expansion of the brand to 28 countries, spent thousands of hours training sales forces and leadership teams, and wrote several books on the Sandler Selling System, such as Sandler Success Principles (Amazon bestseller), The Sandler Rules (Wall Street Journal and Amazon bestseller) and Magical People Skills. To download your free report on “10 Ways You Can Use LinkedIn To Prospect More Effectively" click here. Copyright © 2014 Sandler Systems, Inc. All rights reserved. Sandler and Sandler Selling System are registered service marks of Sandler Systems, Inc. Please visit our web site.